Associate Professor Ivan Haigh, from Ocean and Earth Science at the University of Southampton, who is leading the project, says: "There is strong observational evidence that global mean sea-levels are rising and the rate of rise is predicted to accelerate, significantly threatening hundreds of billions of pounds of infrastructure around the UK coast. Substantial upgrades or replacements to coastal defences will therefore be required to maintain existing flood risk management standards." Professor Robert Nicholls, from Engineering in the Environment at the University of Southampton, adds: "Upgrading coastal flood defence infrastructure will involve long lead times relating to both planning (time to obtain the financial and political support to carry out the upgrade or replacement) and implementation (time to source the company and materials to carry out the work) of schemes. 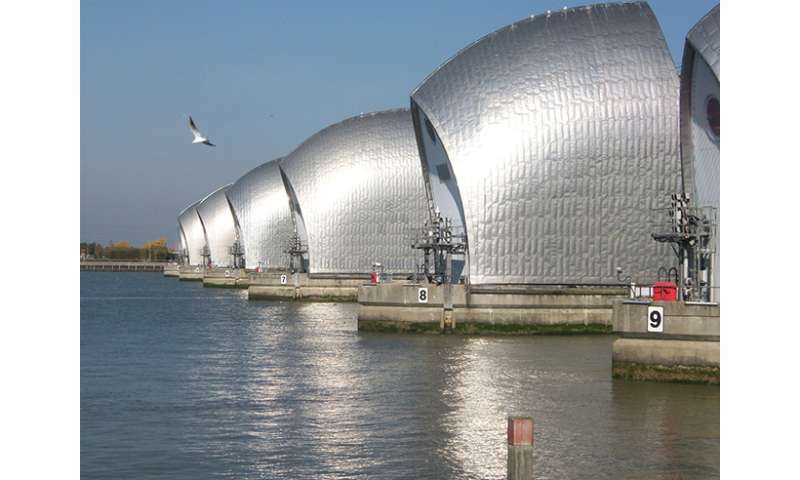 For example, plans for building the Thames Barrier were started soon after the notorious 1953 North Sea flood, but the Barrier was not operational until 1982 - nearly 30 years later! It is therefore very important that we understanding likely lead times for upgrading/replacing coastal defence infrastructure around the UK." Dr Francisco Calafat from the National Oceanography Centre, says: "The issue of sea-level acceleration is particularly important, as rapid rates of rise will reduce the lead time available for upgrading/replacing defence infrastructure. Moreover, detecting accelerations in the rate of sea-level rise is complicated because of the considerable inter-annual variability evident in sea level at regional/local scales, which 'swamps' the smaller underlying acceleration signal. This project will assess whether we could detect sea-level accelerations earlier by removing known sources of variability to provide sufficient lead time for action." The Environment Agency and EDF Energy are among the project's stakeholders. Katy Francis from the Environment Agency's Thames Estuary 2100 Team, said: "With the rate of sea-level rise increasing due to climate change, coastal flood defence infrastructure around parts of the UK will need to be upgraded or replaced. We are excited to be partnering with the world leading experts at the University of Southampton and National Oceanography Centre in this field of research, and hope the results of their research will enable us to detect sea-level accelerations earlier to provide more time for action."